NATO’s Maritime Capability Group 1 on Above Water Engagement conducted naval electronic warfare trials in Toulon, France between 30 September and 4 October 2013. 4 vessels and measuring/simulator systems from France, Germany, Italy, Norway, Sweden and Turkey took part. 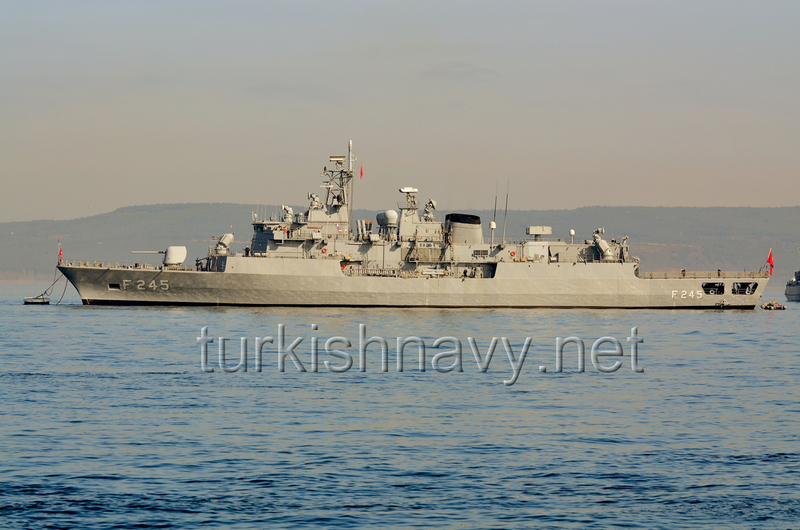 The MEKO 200 Track IIA class frigate F-245 TCG Oruçreis was the Turkish participant to these trials.